Colville Hall lies within the remains of an ancient moated site, containing several medieval and post medieval timber framed and thatched barns and other traditional farm structures originally used by a wealthy farmstead. Together they form a well preserved group of spectacular barns, an ideal setting for the perfect romantic wedding. The site on which Colville Hall occupies even shows signs of an adjacent medieval deserted village and is an area of great interest from many archaeological societies. Colville Hall is steeped in history. It is still possible to see where the original moat runs which pre dates most of the existing farmstead and can be seen as a large dry ditch and shallow depression and a further part is perpetuated as one of the ponds. Roman artefacts were collected by former farmer Robert Judd at Colville Hall in 1846 – these dated from the 1st to the 4th centuries AD - and included coins dating from Emperors Nero to Gratian, burial urns, oil lamps and some unusually designed metal keys. 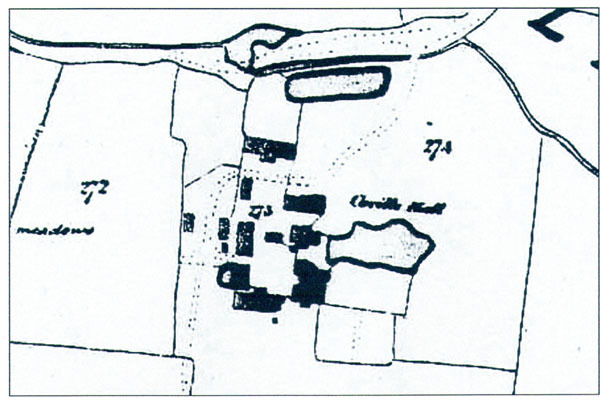 In the medieval period Colville Hall was part of the manor of ‘Merks’ or White Roding and was an important moated farmstead centred around an earlier hall predating the existing Colville Hall. The barns and farm buildings date back to the 12th century. 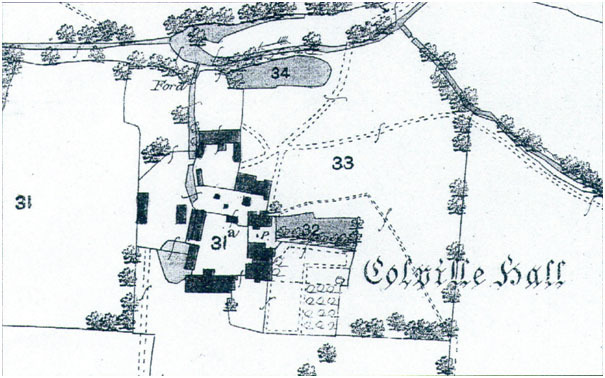 In 1537 Colville Hall was established as a manor in its own right when John Browne purchased it from his uncle Sir Humphrey Browne. Around this time the existing Colville Hall was built to replace the original medieval house – common place in the 16th century. The hall stayed in the Browne family for two generations and then passed to the Everards. In 1701 Mrs Prisca Coburne left the farm to the Seaman’s Widow Charity which held the property until 1914. The trustees of the Seaman's widow charity sold the farm to Mr J N Lunkies in 1914. By 1965 the farm was again up for auction but was withdrawn from sale. By 1996 farming had ceased and the buildings were in desperate need of refurbishment. Richard and Philippa Marriage purchased Colville Hall in 2010 and have since started the refurbishment works bringing it to how you see it today.